Watercolor on 140 lb. cold press Arches Paper. 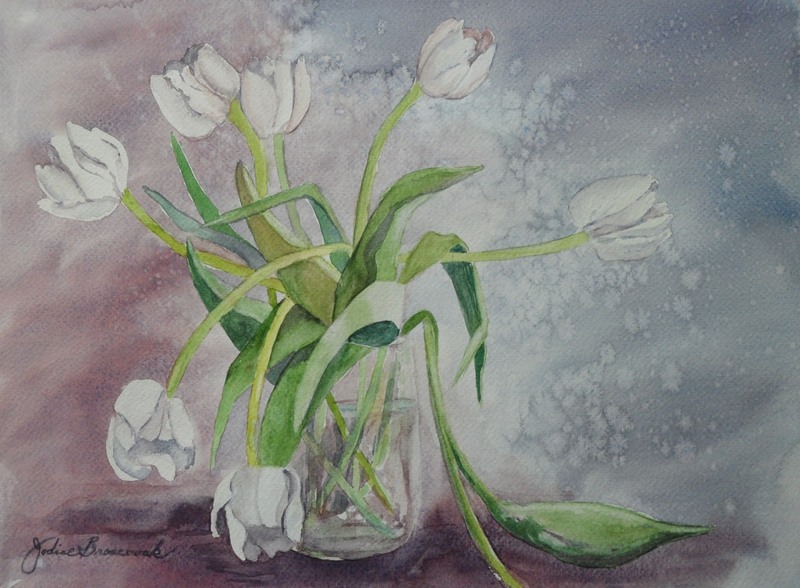 White spring tulips with a mind of their own. Original is unframed. 8" x 11"11" x 15"